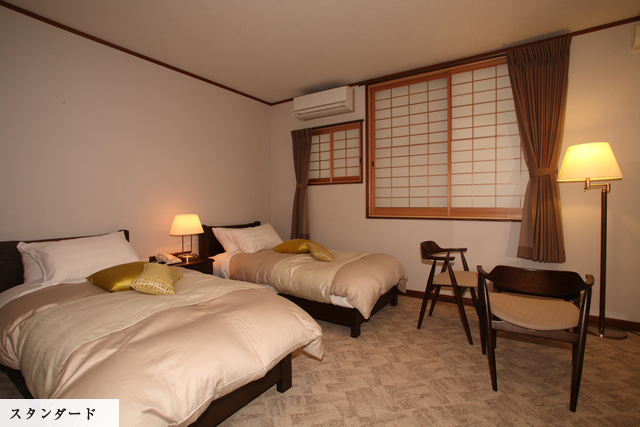 We humbly invite you to get full rest in relax and homely atmosphere. Our place welcome you with warmness of woods as our furniture are made from Hidan Hinoki, a kind of the most luxury and fragrance timber in Japan. The building reminisce its former glory in the past of old samurai residence, surround by warmness of Japanese wooden room. 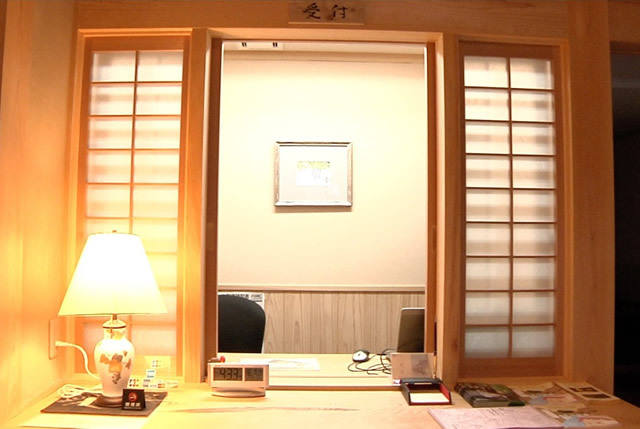 Front desk is located at the right hand side after passing by earthen fence and wooden front gate into the building. 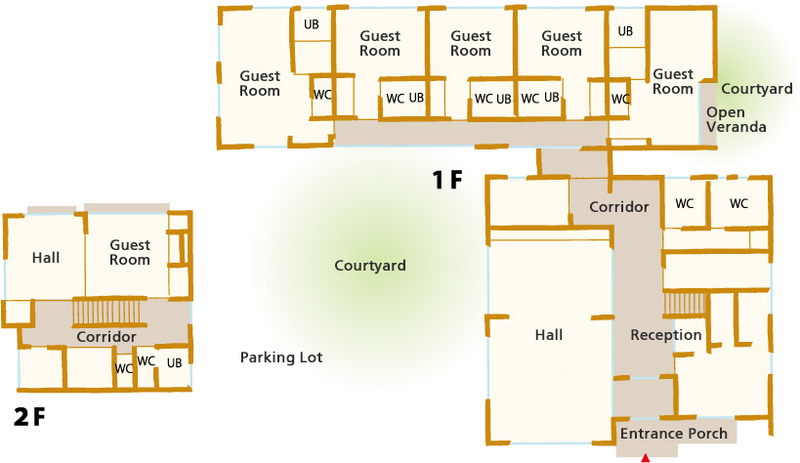 Common area is situated at the left hand side after enter the building. Guests may take a rest at the table or sofa as your will. The breakfast and dinner will also be served here. The dinner is 『Yuzuriha Course』 The breakfast is Japanese-style. ※ Alcoholic beverages could be served in dinner time. 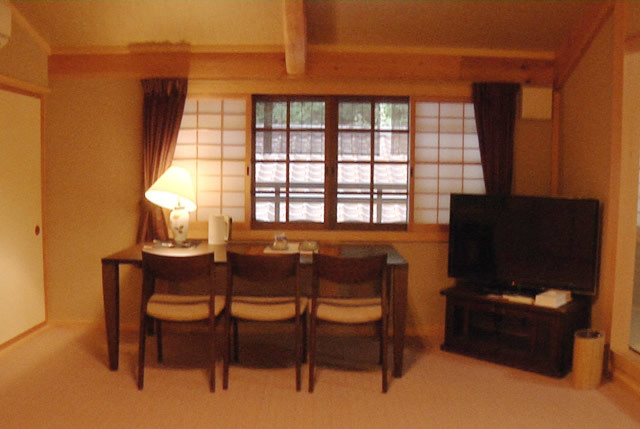 Wooden building gives warmness and relaxing atmosphere to all guest, as in the World Heritage Site. Without shop or even convenient store nearby, Yuzuriha is surround by tranquillity after sunset. 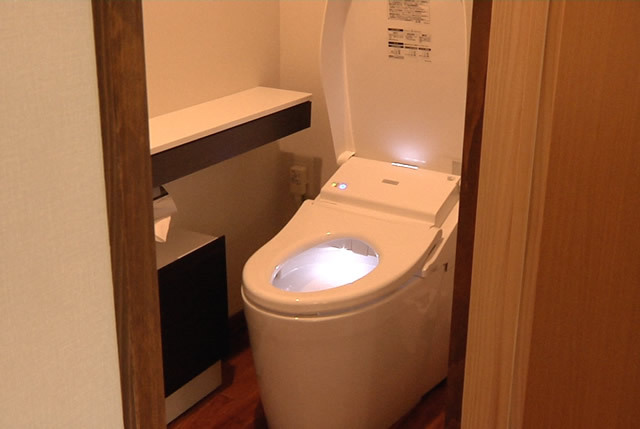 It help our guests to forget your busy days and relax both your body and mind. Let yourselves fade away from TVs, smartphones or any other modern technologies and use your very own five senses deep into the nature of World Heritage area. Yukata robe, towel, handkerchief, hand towel, shower cap, slippers, toothbrush and toothpaste, shaver kit, comb, bath soap, shampoo, conditioner. ※Rental trouser presser and hair setter for male available at the front desk. ※Indoor wi-fi available. Guest who need to use LAN cable could request at the front desk. Wheelchair, walking count, trouser presser, and hair setter kit for male are available to rent at the front desk. Access ramp into building from front gate. 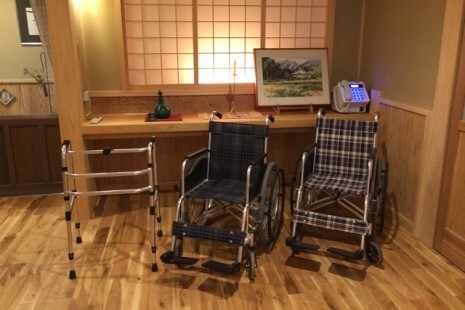 Universal design in western-style standard and suite rooms on the first floor, easily access by wheelchair. 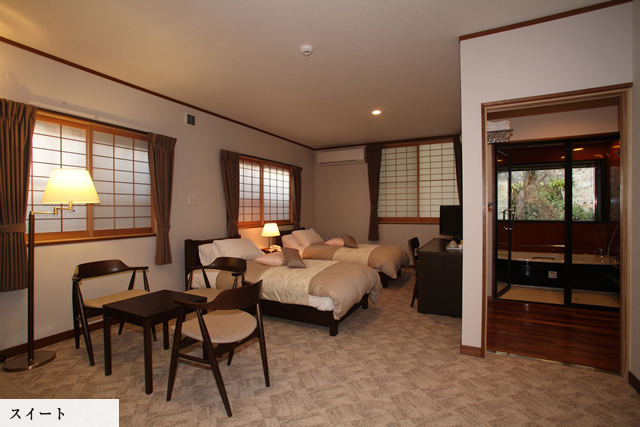 Guests who desire to stay in Japanese-style and western-style suite on the second floor could tell us prior to your stay. 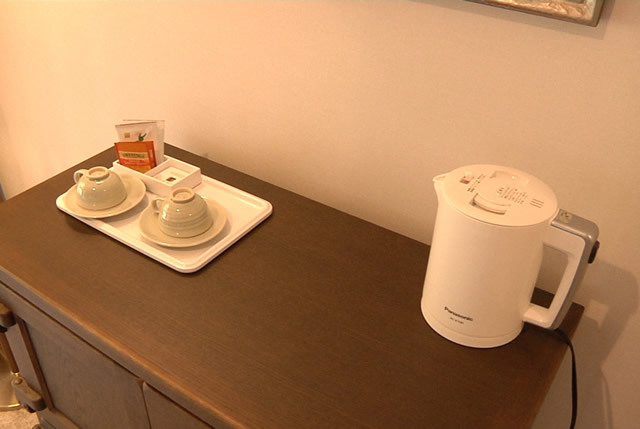 32-inch flat screen television, minibar (charge), electric kettle, tea set, refrigerator, toilet faucet, hairdryer, weighting scale, and humidifier inn each room. 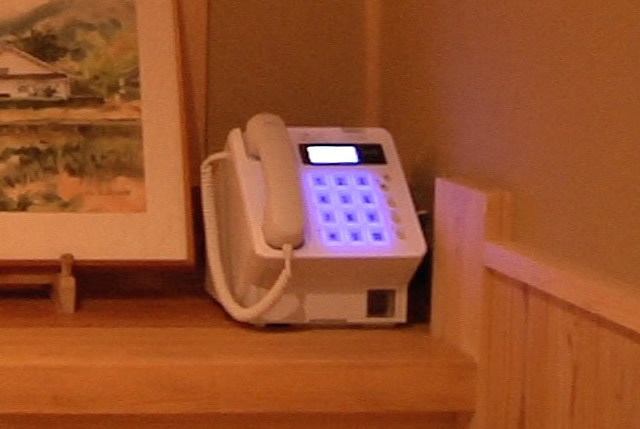 Public telephone is also available outside. 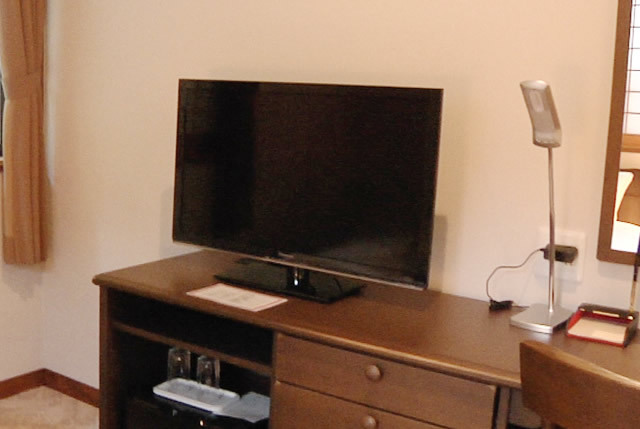 free wi-fi is available in each guest room. Laundry machine available on the first floor. Parking space available besides Yuzuriha building. Guests can park there without any charge. This ancient silver mine has been declared as UNESCO World Heritage site in July 2007.This mine has been excavated for massive amount of silver ore in 100 years period between 16th-17th century. It had become war chest of many armies of warlords in warring states era, such as Ouchi clan, Amago Clan, or Mori Clan, and also become the pillar of economy of Edo government. Furthermore, silver ore from this mine has been minted into coins and exported as trading medium with foreigners, whether European countries like Portugal or Spain, Asian countries, particularly China and Korea. 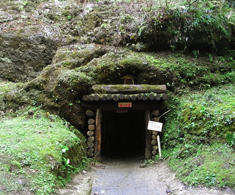 In the late 17th century, silver ore had been excavated from Iwami Ginzan around ten thousand kan (approx. 38 tonnes) annually. It was estimated as one-third of world silver production at that time. It shows that Japan was one of the main producer of silver ore and currency in global market. 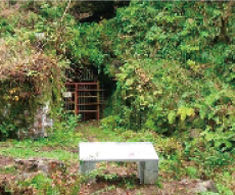 Travellers can visit some parts of the silver mine called 'Mabu', which lies along the cave horizontally and the miner had dug for the valuable ore.
'Okubo Mabu' is the walking trail in mining shaft which is the biggest in Iwami Ginzan area. In this trail, you can find different techniques of mining from Edo to Meiji era from labour-mining, machinery, to gunpower-assisted mining. Currently open by reservation tour group only. 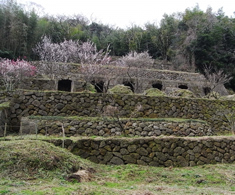 Omori is a district where the prosperity of the mine had flourished. It was designated to be architectural conservation area. There are many traces of business and civilian roles from old time left. 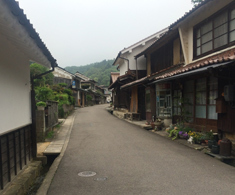 The residences of governing samurai, merchant quarter, or temples and shrines survive from that era until now. 'Rakan Temple' or Rakanji is the temple built dedicate to soul of the ancestors and people who lost there lives in the mines. In the opposite side of Rakan temple, there are three stone caves which spent 20 years to excavated. Inside the caves stand the statues called 'Rakanso' total 501 statues All the statues had been decorated with bright colours. Each statues expresses different emotions, some laugh, some cry, some stare to the sky with deeply reason. Mt. 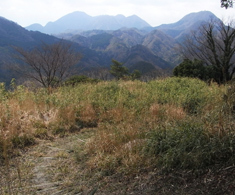 Sanbei is a mountain located at the central of Shimane prefecture. Many tourists come here to sightseeing, hiking, picnic, or camping from inside and outside prefecture. The mountain is important to people around and it is also primary source of mineral spring in Chugoku region. 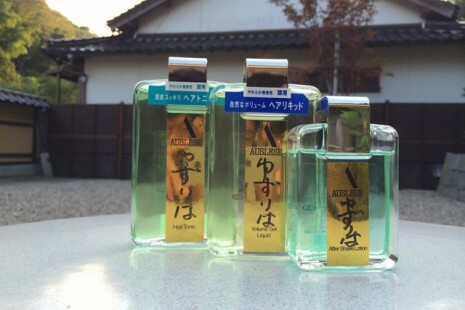 This area is full of natural hot spring such as Sanbei Onsen, Koyabara Onsen, Yugakae Onsen. Travellers can dip themselves into the hot springs in one-day trip or stay and take a look around. The name of 'Ginzan Goryo' (Local name which directly controlled by Edo government) is still remain at old magistrate called 'Daikansho.' Daikansho is the name of government centre which directly controlled by central government in Edo era. 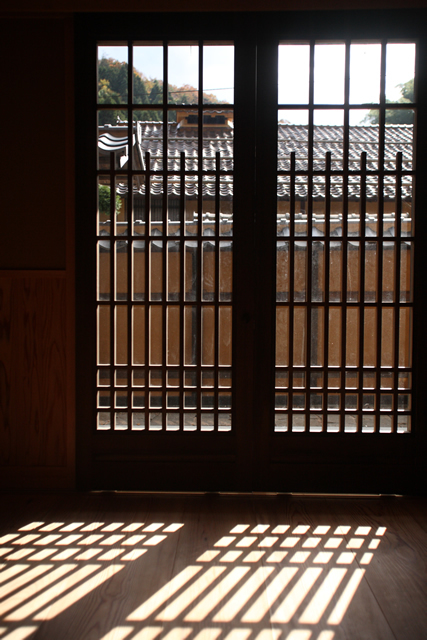 Some parts of it had existed since Edo period such as front gate and long gate called 'Mon nagaya.' 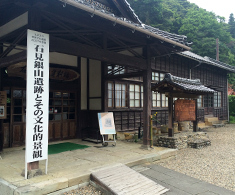 Daikansho currently use to keep archives and other information about Iwami Ginzan and open to public visit. 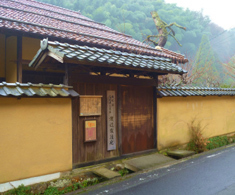 'Kumagai Residence' in Omori district was once the wealthy and great residence of merchant clan in the long prosperous period of Iwami Ginzan. Other than ore trading and liquor-making, the Kumagai had overseen weighting, measurement, and examination of silver ore which offered as tax to Daikansho. So it is the one of the great clan with great influence in 'Iwami Ginzan Goryo' area. Decoration inside the residence is very interesting. The pattern of vertical cloud in the bubbly arch frame called 'Kumotatewaku' (silver pattern on yellow background) is used on the wall and sliding door in Japanese-style room. In the summer, bamboo curtain and wood-woven door was used. Additionally, there are old used tools and equipment, clothes, garments and fabrics, and other belongings in everyday life of residents exhibited. 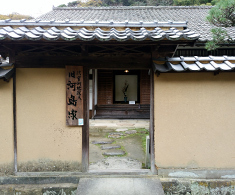 It is a samurai residence who worked as officer at Daikansho, built in 19th century. 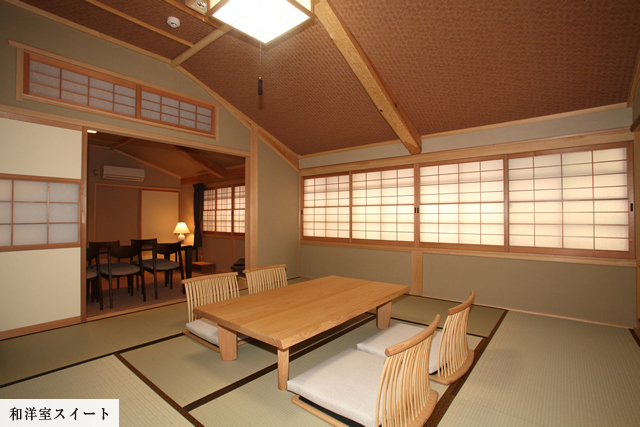 Inside exhibition shows 'Buke' or house decoration of samurai residence. Located at the entrance of mine area. 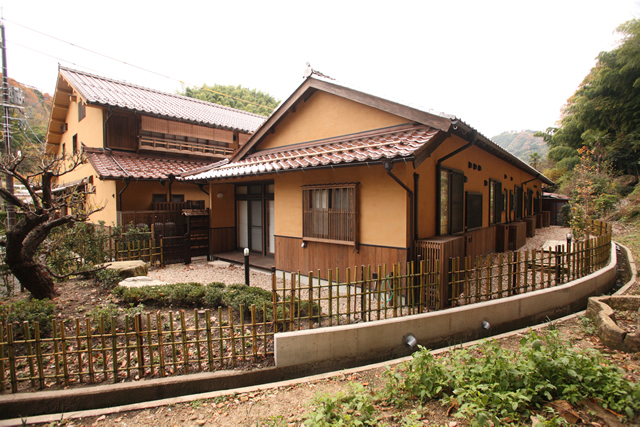 Watanabe residence is a samurai residence designated to be National Historic site which difference from other site. 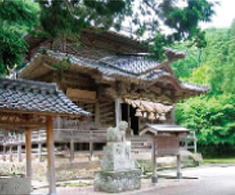 Rakanji is the temple in shingon sect. 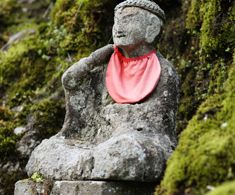 The opposite side of temple is 'Gohyakurakan' caves which have 501 statues. The Daikan officer of Omori initiated with villagers to sculpt the stone into statues dedicated to the souls whom lost their lives in the mine. Takemura Tango-no-kami, the second Bugyou officer of Tokugawa government, was the chief of building work of this temple. After that, this temple became temple for all government officers in Omori district such as Daikan or Omoribugyou. There is Toshogu, the shrine dedicated to Tokugawa shogunate behind the temple. This is a sacred shrine to worship 'Kanayamahiko', the deity of mining. 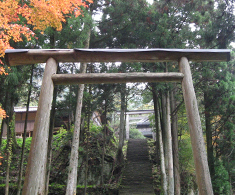 Walkway beside the shrine can connect to the summit of Sen-no-yama. If you hike upon the way behind World Heritage Centre, you will meet to viewing point in the central of Sen-no-yama mountain. From this point, you could see panoramic view of residences of Omori, Old Yamabuki Castle ruin, and Sanbei Mountain. It is a smelter which was built when Iwami Ginzan was re-developed in Meiji era. If you walk upon the way, you will find ore selection place, Kuranojou ore transportation shaft, and old Torokko mining railways. Yunotsu district had prospered by being port city to import supplies into Omori district. 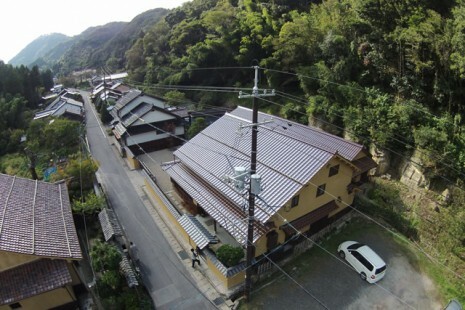 In addition of port city, Yunotsu is also famous for hot spring and registered as architectural conservation area as Omori. Okidomari is the port to ship silver ore in the period of governing Mori Clan. The castle was built nearby. After Edo period, it devolved to fishing port. Now there is remaining fisherman village. 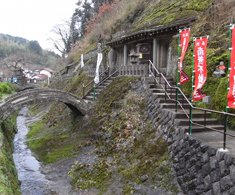 Okidomari trails is the three trails connecting Yunotsu, Okidomari, and Omori, which is used for transport silver ore in the period of governing Mori Clan. Since Edo era, it still had been used for transport supplies from Yunotsu to Omori. Stone pavement or resting place (Nishita) are still exist, reflect the former way of life. 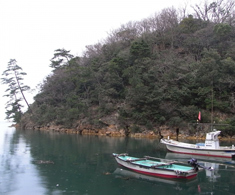 Port city of Tomo-ga-ura once used to ship silver ore in the period of governing Ouchi Clan, now a fishing port. 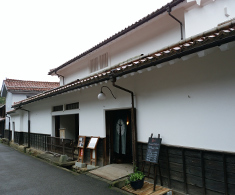 In the 'Tomokan' building, which is a part of World Heritage site situated in port village, has the information about local life exhibit. 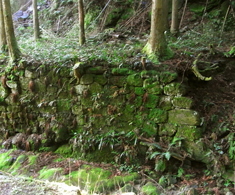 It is a trail used for transport ores from Omori to Tomo-ga-ura in the period of governing Ouchi Clan. In the part of trail where crossing by old Yamabuki Castle Ruin, the ore smelter from Meiji period can be seen.